Corsaro (1946-55): Only one yacht is thought to survive from the 40-strong pack of the first range of classic Riva yachts. 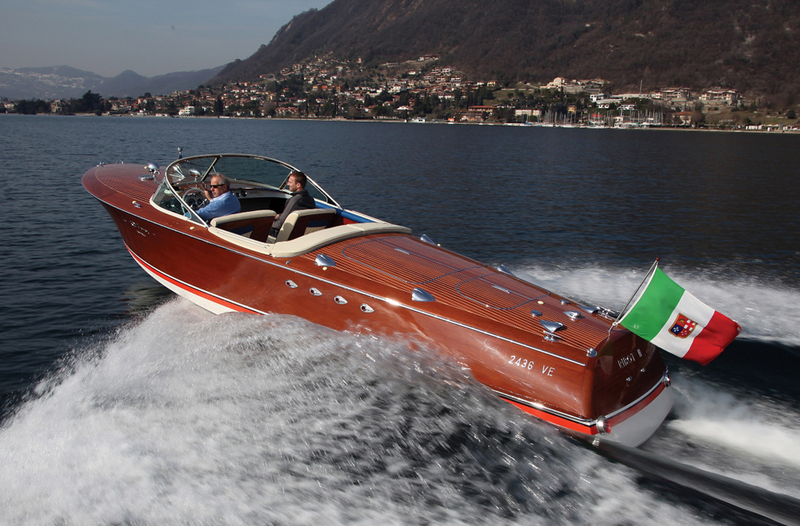 The two-seater Corsaro Riva series was designed by Carlo Riva, based on the AR Sport motor boat. Production started on 1950, and the series ranged in length from 4.8 to 5.65 metres LOA and she was fitted with various engines. 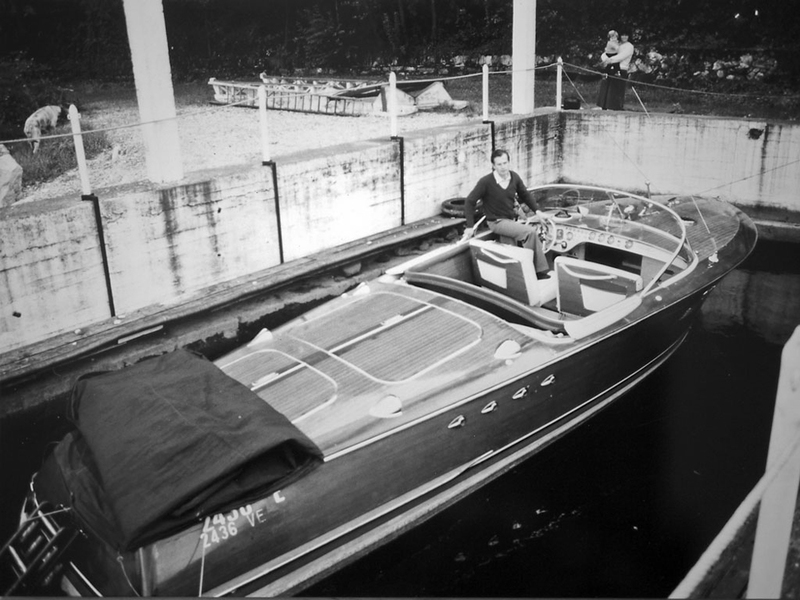 Super Tritone (1950-66): The first twin-engine classic range Riva yacht was the Tritone, in build from 1950-1966. While 221 of the standard Tritone version were delivered, far fewer of the far more desired Super Tritone came into being, with only 21 hitting the water. At nearly eight metres LOA, the Super Tritone was a long, powerful version of Riva’s Tritone, its biggest thus far. 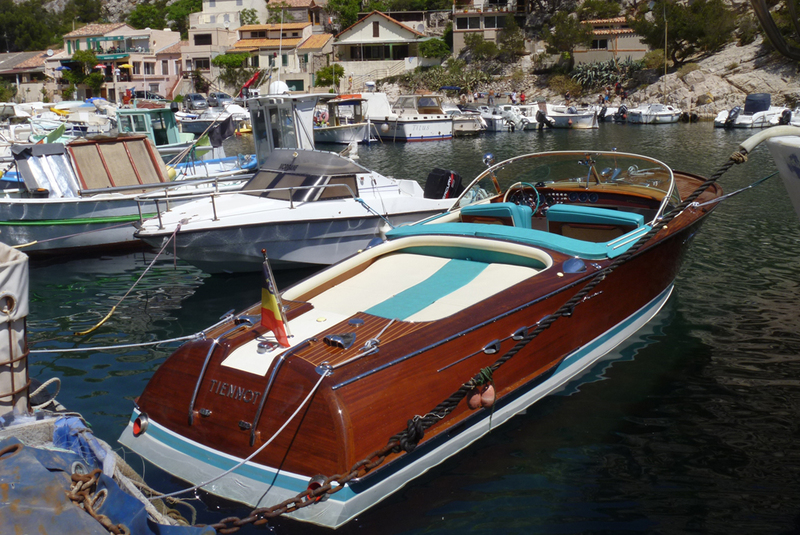 Ribot III: Riva owners may commonly have been rich and famous, but it was rare to get special treatment; however, Carlo Riva broke his rule in the case of the Como industrialist, champion sailor and Riva patron, Achille Roncoroni. In 1960, Roncoroni persuaded the company to build him a one-off version of the Tritone Special model classic Riva yacht. He wanted the best, fastest and largest Riva ever. What he got was an 8.3m wood-clad wonder powered by two high-performance, marinised Cadillac Eldorado V8 engines, each producing 325hp to push the boat to a stunning 60mph. The unique interior had red, white and blue front seats that could be laid flat to let occupants sunbathe away from prying eyes. The dashboard featured sparkling, chrome bezel instruments befitting the Cadillac-powered Special. 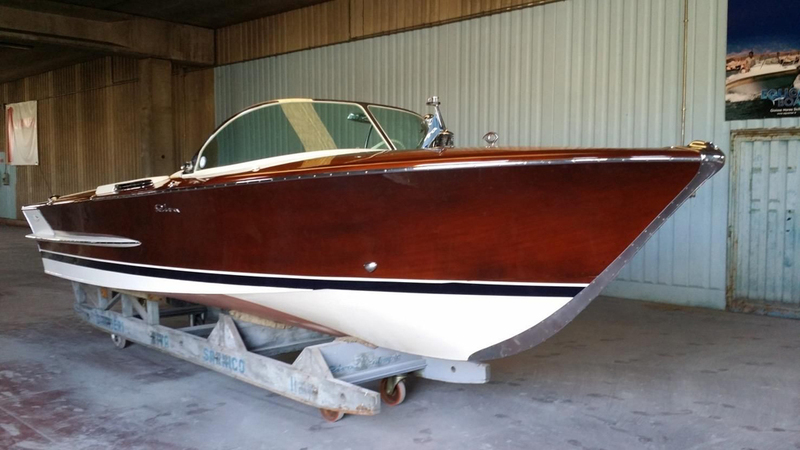 Roncoroni used the boat, Ribot III, mostly on Como, and kept her until 1970 before selling her to someone who has owned this beautiful classic Riva ever since. And, true to his word, Carlo Riva ensured Ribot III remained a one-off, even turning down a request for a similar craft from King Hussein of Jordan. Ariston (1950-74): Perhaps the best-known by sight classic Riva yacht, and certainly one of the most popular, is the Ariston, which was built for nearly 25 years. The single-engine Ariston measures 6.7 metres and features a distinctive rounded stern and wooden sax board. There were 823 Riva Ariston yachts built and another 189 Super Aristons delivered. Florida (1952-69): Featuring a large, sunken sun deck and often seen towing water-skiers, this sporty Riva classic yacht was equally well suited for a day of sunbathing or watersports. The Riva Florida is propelled by a single engine and ranged from 5.59 metres to 6.27 metres in her Super Florida size. Though she was built in Italy, like her brethren, her sun-loving demeanour earned her the moniker of the US “Sunshine State” and was named after Florida as at the time it was the place most closely linked with the sport of waterskiing. 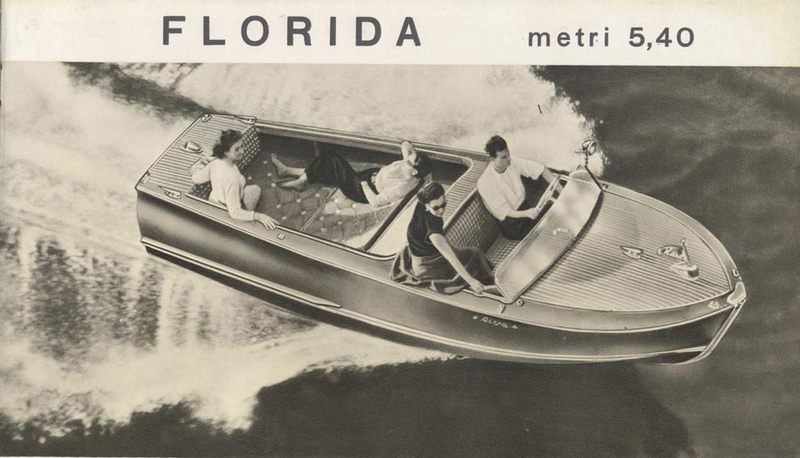 In her time in build, 426 Florida Rivas were delivered, including 711 of the bigger and more powerful Super Florida models. Aquarama (1962-96): The original Riva Aquarama line was delivered from 1962 to 1972. This included first classic Riva Aquarama yacht, of which 288 were sold, and the Super Aquarama, with 203 splashing. The Aquarama Special then emerged, running from 1972 to 1996 with 278 boats built. The most expensive classic Riva ever built was probably an Aquarama, which crossed the block at Mecum Auctions in Kissimmee, Florida, back in 2011, for an impressive $975,000. Bidders from around the world competed to own the boat, which was considered extra special, because it was the last of the original, wooden-hulled Rivas to be sold to the public. Hull No 774 was completed in 1996 and delivered new to the founding family of the giant Sony Corporation on 23 December 1998. Surely the ultimate Christmas present, it was one of six “End of the Era” commemorative editions produced. Its owners, however, clocked up fewer than 20 hours aboard her in 12 years, with their most ambitious voyage being a return trip across Lake Garda for lunch. Junior (1967-72): The Riva Junion was the late 1960s replacement for the basic Riva Florida. At 5.6 metres, the classic Riva yacht model Junior found fame as the choice of the celebrity set such as Brigitte Bardot and Peter Sellers. Olympic (1969-83): Named in honour of the Mexico Olympic Games of 1968 was the last wooden classic Riva yacht designed by Cantieri Riva. The Olympic Riva was introduced specifically to replace the Super Florida. Unlike other Riva models that evolved over time, the Olympic were introduced at 6.55 metres LOA and all were this length until production ceased in 1983, and nearly all carried the same 220hp or 270hp Riva-branded engines. Though 275 were built, the majority were delivered in the Olympic’s heyday, prior to 1975.